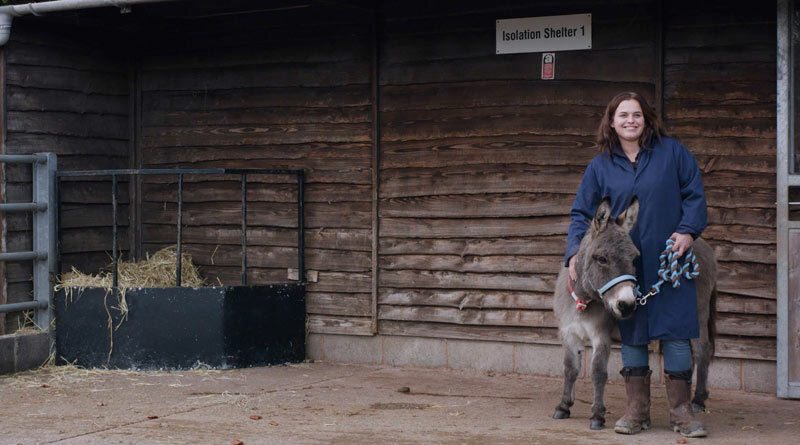 When a donkey is brought into the care of The Donkey Sanctuary, its first stop is the New Arrivals Unit. For the first time, a film crew has been given access to the sanctuary’s restricted unit, to find out just what goes into setting donkeys up on their journey to a happy, healthy life. Donkeys come into The Donkey Sanctuary for a whole host of reasons. They may have been abandoned, rescued from a life of abuse, or relinquished by an owner who was no longer able to care for them. Each one has their own story and requires collaboration between a variety of expert staff to understand each donkey’s individual character, their needs, and to plan for their future. The new short film, below, highlights the importance of this initial care and assessment programme, as well as good old-fashioned love and attention for the animals who arrive at the international headquarters in Devon. The area itself is restricted to ensure biosecurity and to prevent the potential spread of any diseases from incoming donkeys into the resident herd. The minimum stay a donkey has in New Arrivals is six weeks, though some do end up staying a lot longer, depending on their needs and their health. The Donkey Sanctuary celebrates its 50th anniversary this year, with special events held throughout 2019 to celebrate this important milestone. It is an opportunity to both look back on the charity’s landmark achievements and take stock of the massive challenges in a world where the suffering of animals remains abhorrent.